East Beach is located on the eastern side of Low Head and is the closest surfing beach to Georgetown and Launceston. 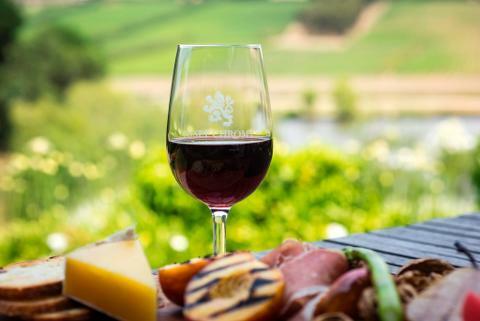 Follow the beautiful Tamar River north past the rolling fields, wineries and vineyards; up to the mouth where the crystal clear water pours into the Bass Strait; and you'll find the historic hamlet of George Town sitting on the western banks. This north coast town features easy access to the Bass Strait, breathtaking views and robust infrastructure. You'll find supermarkets, a variety of restaurants, stores and a Regional Hospital. You wouldn't guess it, but George Town is Australia's 3rd-oldest city behind only Hobart and Sydney. 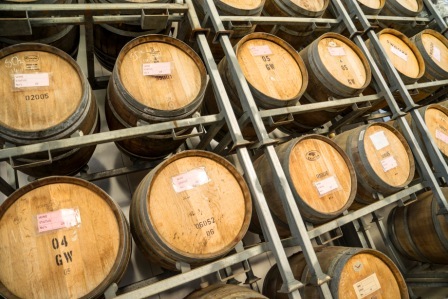 But it is difficult to focus on the history of this vibrant north coast town as you drive in through beautiful orchards, lavender fields, berry farms and vineyards. Once you get over the stunning inbound drive, head over to the Old Watch Museum. This retired lock-up is now a history museum for George Town and the area. You'll be impressed by the depth of the area's maritime history. When you're done touring the museum, pick up a self-guided George Town Heritage Trail brochure. The pamphlet will walk you through town past some of Australia's most historic sites. But save some energy for hiring a bicycle. The 4-kilometer ride to nearby Low Head Pilot Station takes you down a scenic coastline to an 1805-built pilot building. The building, still in use today, was erected by free convict labour at the dawn of European history in Tasmania. The Tamar River pouring into the Bass Strait at the edge of town gives visitors unlimited potential for water sport. George Town is a popular beachside destination for swimmers and surfers. Long sandy beaches and the cool waters of the strait are perfect for a summertime cool-off. Fisherman flock to George Town to charter boats into the deeper waters of the strait where some of the planet's healthiest fish live. And boating enthusiasts love George Town's Bass and Flinders Centre where they can oggle at a nice collection of historical boats. You can even board a replica of the 1798 sloop Norfolk. 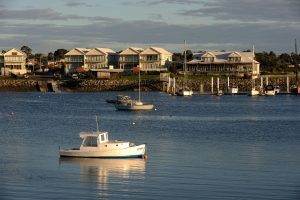 Being Australia's third-oldest town, George Town has its share of historical buildings including the 1805-built pilot building and the 1843-built town gaol. The gaol has been refurbished and it reopened in 2004. It now features a history museum as well as a gallery. And art lovers descend on the town to attend the annual Lighthouse Regional Arts Festival. George Town has it's own little penguin colony at Low Head Beach. You can sit on the beach at dusk to watch these little guys fight the tiny surf to get back to their beach homes. The little creatures come back to land on in formations called rafts and they call out to each other before retiring for the night in their sandy holes. You'll find a range of accommodations in George Town CBD around Stone Quarry Bay. Each of these hotels, cottages, bed and breakfasts, and backpackers accommodations has easy access to the Tamar River. You'll also find a seaside caravan park just to the north of George Town at nearby Low Head. The George Town Heritage Hall was built in 1811 and is a good introduction to the historic buildings in town. You can also pick up the self-guided George Town Heritage Trail pamphlet here to start your walk through town. Educate yourself about the history of the George Town Female Factory at the George Town Watch Museum. This renovated lock-up housed male and female offenders in the 1800's now boasts a model village. Bass and Flinders sailed from mainland Australia back in 1798 on the HMAS Norfolk. 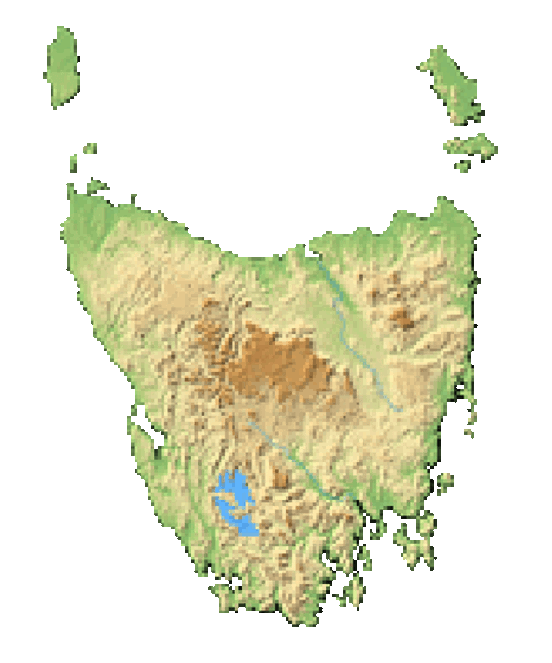 They sailed around Tasmania to establish it was an island. A replica of this boat is now housed at the Bass and Flinders Centre in town. You'll also find an interesting collection of old boats. Rock up to The Grove for an inspection. Open to the public, this 1829-built sandstone building was once the home to the original port officer and magistrate of George Town. It is now a quaint bed and breakfast. You'll find plenty of eateries near the hotels in George Town CDB. All around the Stone Quarry Bay, you can choose from burgers, fish and chips, pizza and Chinese food. 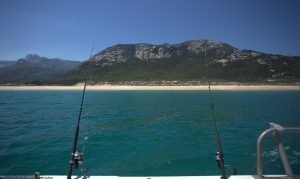 You'll also find a few takeaway establishments for a quick bite after a day on the water. In 1798, Bass and Flinders explored the Tamar River on their maiden voyage from mainland Australia. The first European, William Paterson, anchored the HMS Buffalo at George Town in 1804 before moving on to York Town a few weeks later. In 1811, Governor Lachlan Macquerie named George Town after in King George III to make it the third-established city in Australia. 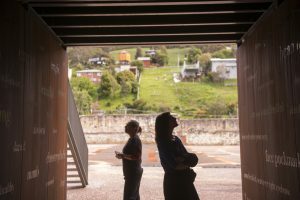 George Town rose to prominence in the early 1800's as it became the most important port on the north of the island for the Van Diemen Land Company. Now it is a tourist town with an economy fueled by aluminium smelting down the river in Bell Bay. You'll experience a pleasant temperate maritime climate in George Town. It never really gets too hot nor does it get very cold. But it can be rainy. However, it doesn't rain as much in George Town as it does in some other Tasmania towns. The best social media-worthy photo is at nearby Mount George Lookout. Stop here on the way into town to whet your appetite for George Town itself. 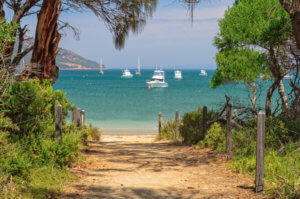 You'll find Low Head just five kilometres north of George Town on the Bass Strait. This quaint and historic town is worth a visit. You can tour the Low Head Lighthouse and Pilot Station, and you can walk a river track where you can scope the area's famous tiny penguins at dusk. Visit the nearby Lefroy Ghost Town to experience the volatility of the Tasmanian mining industries in the 1880's. Once home to more than 5,000 wealthy residents, it's now nothing more than a collection of once-opulent ruins.